Came over from Mark Evanier. 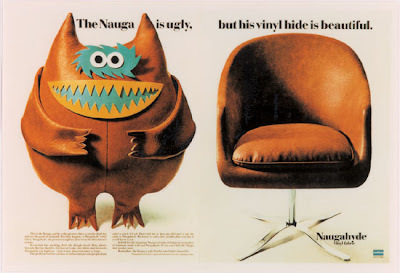 We actually have a Nauga. In Blue. Followed the link from newsfromme. Loved this page; added you to my reader! I was also sent from Mark Evanier. 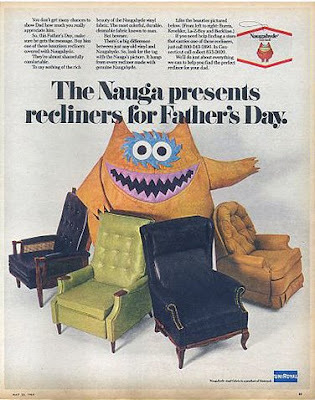 We used to say "Think of the poor Nauga's who lost their life for that chair.".... or more recently.... "Imaging how many endangered pleathers had to sacrifice their life for that ugly jacket." 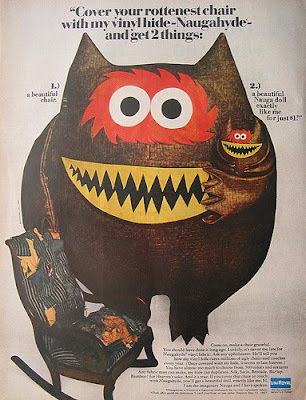 Here is a picture of me and my nauga from the 60's. 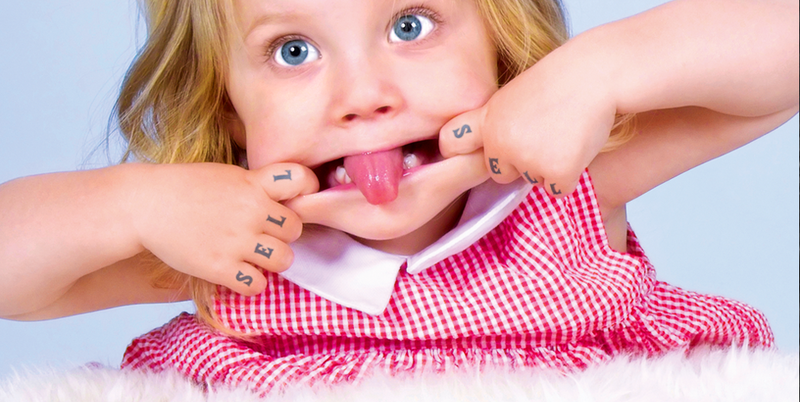 Hey Schwingding, that is a fantastic photograph, thanks for sharing. What's great is there's loads more about it here than you get in George Lois's book. Really, really good. Well done. We're huge Lois fans here. I'm a little late reading the NAUGA post. watching cartoons. It also hogs the remote. 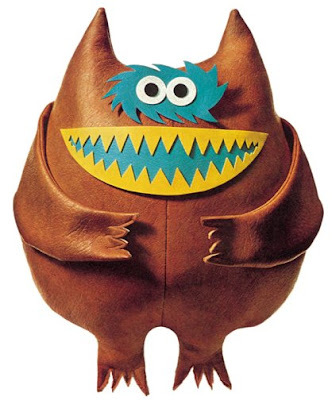 I saw a stuffed doll of that monster in a thrift store last year. 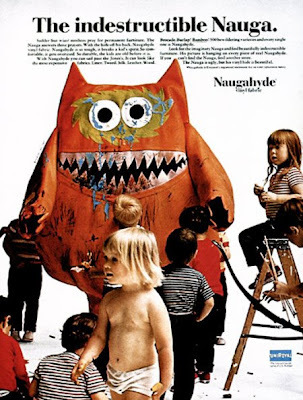 What I'D like to know is: Where can I get enlarged prints of the Naugahyde ads featuring the Nauga? I've just moved to Naugatuck, CT where Uniroyal was originally located and Naugahyde "discovered". In searching some history I've found that my house and neighbors' were originally built for the company's management and execs... 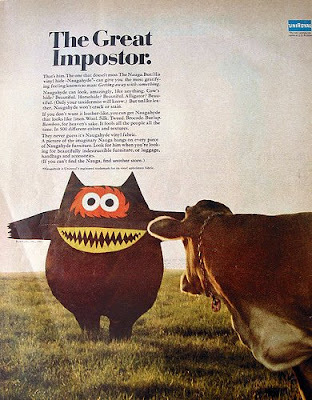 I think it'd be neat to have some framed prints of these ads... especially the one with the cow!